Home Technology Explaination About Specifications Of Earphones And Headphones. Explaination About Specifications Of Earphones And Headphones. Is type ke headphones me kaan ke paas ka part open hota hai hai aur isme aapko music sunne ke dauran bahri atmosphere ke sounds bhi aapko lagbhag sunai dete hai. Is type ke headphones me bahari part puri tarah close hota aur apko bahari atmosphere ki sounds sunai nahi deti aur aapko only aapke music ki awaz sunai deti hai. Jaisa ki sabhi earhones ek type ke hote jise easily ears me lagakar songs sunne hote hai . Lekin unme use hone wale rubber ke sizes different hote hai. Hat ek Earphones and Headphones me ek particular Frequency Range set kiya jata hai . Aap sabhi jante hi honge ki ek human ko sound sunne ki Frequency Range 20 Hz - 20 KHz tak ki hoti hai. Har ek Earphones And Headphones me particular starring Frequency Range aur particular ending Frequency Range hoti hai. Earphones And Headphones me starting Frequency Range 12 Hz -22 Hz hoti hai .Aur ending range 18 KHz -22 KHz hoti hai. 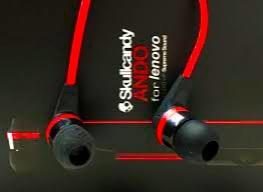 Yadi aapko base jyada chahiye ho to aapko low Starting Frequency range wale Earphones And Headphones kharidane honge kyuki Starting Frequency Range jitna kam hoga base utna jyada hoga aur starting range jitna jyada hoga base utna kam.Yadi aapko troumble jyada chahiye ho to aap high ending Frequency range wala earphone ya headphone choose kare . Frequency Range ke sath sath hame Frequency Response bhi dekhne ke liye available hota hai . Frequency Response se matlab ki kis sound range ne loudness kitni gain karegi Earphones And Headphones ke Specifications me Frequency Response Variation available hota hai aur Frequency Response Variation jitna kam ho utna badhiya hota hai. Different Earphones And Headphones me different size ke Drivers use kiye jate hai aur in drivers ke size jitne bade hote hai utni output provide hoti hai.Headphones me driver ke size 40 mm se bhi bade hote hai . Normal Earphones me driver ke size 8 - 12 mm hote hai aur high quality ke Earphones me multiple drivers use kiye jate hai. Impedance basically resistance hota hai jo Earphones And Headphones me flow karne wali current ko resist karti hai yadi Earphone ya headphone me impedance high hoga to so to aapko Earphone me se hizzing sounds sunai dengi . 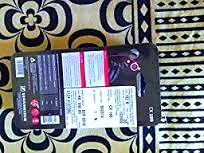 Earphones me noise cancellation use kiya jata hai taki bahari noise ko cancel kar sirf music ki sound ko sunai de aur aap bina noise perfect music ka anad le sake so noise cancellation jitna jyada hoga music ki sound utni clear sunai degi.